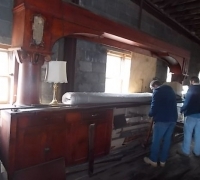 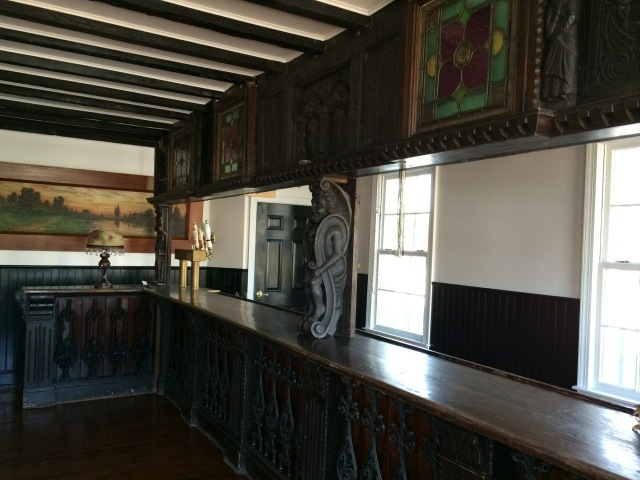 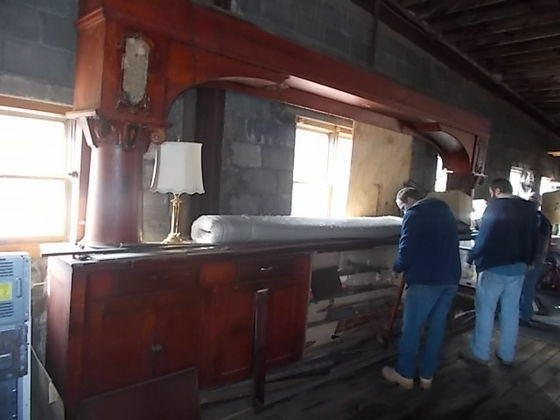 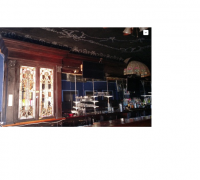 Antique Bar & Bars for Sale in Pennsylvania | Oley Valley Architectural Antiques Inc.
Long Antique Back Bars for Sale - 15 Feet & Up! 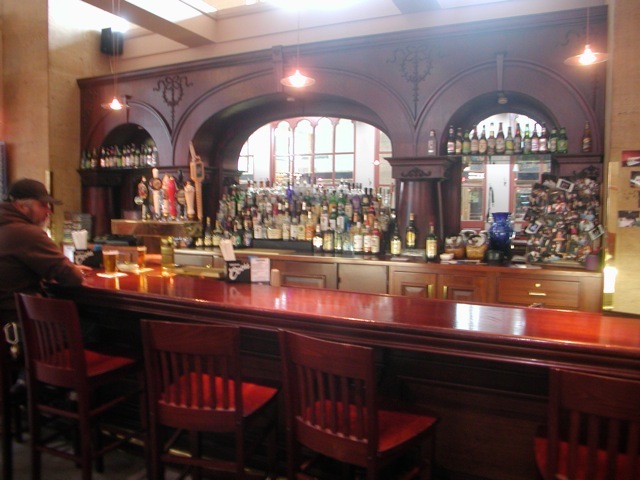 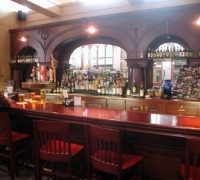 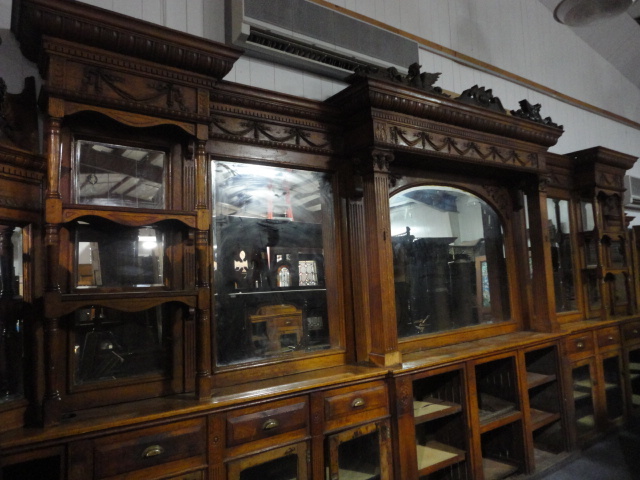 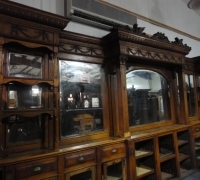 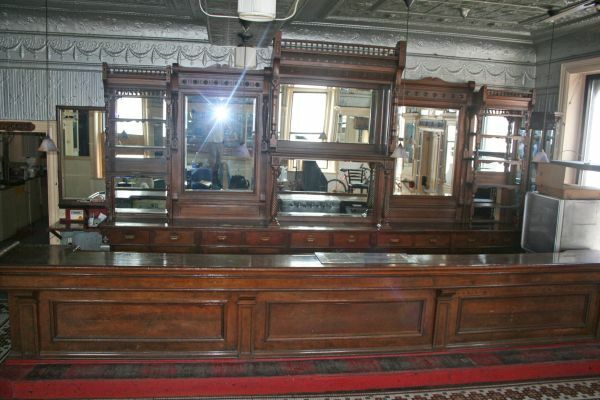 We have the LARGEST SELECTION in the world of ORIGINAL USA ANTIQUE BARS. 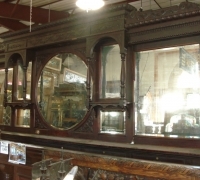 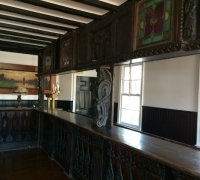 About 30 – 15 FT AND LARGER ANTIQUE BARS AVAILABLE. 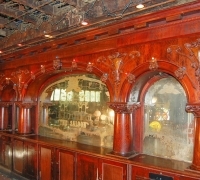 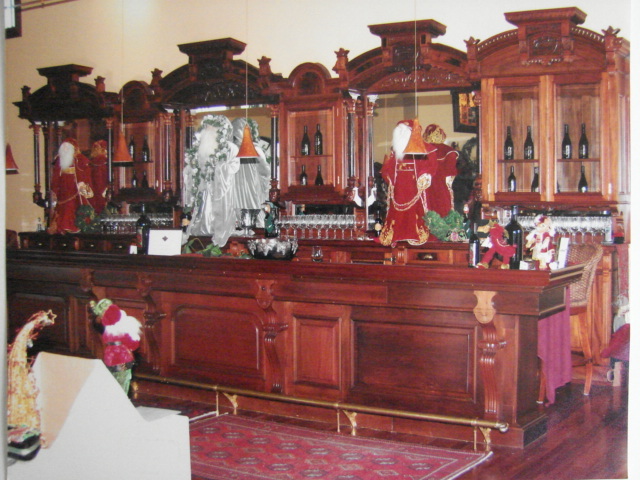 Antique bars are one of our 7 specialties since 1973. 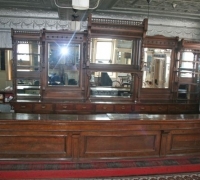 We have provided antique bars for our customers from all over the world. 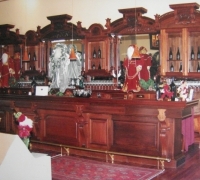 We match our services to the needs of each customer. 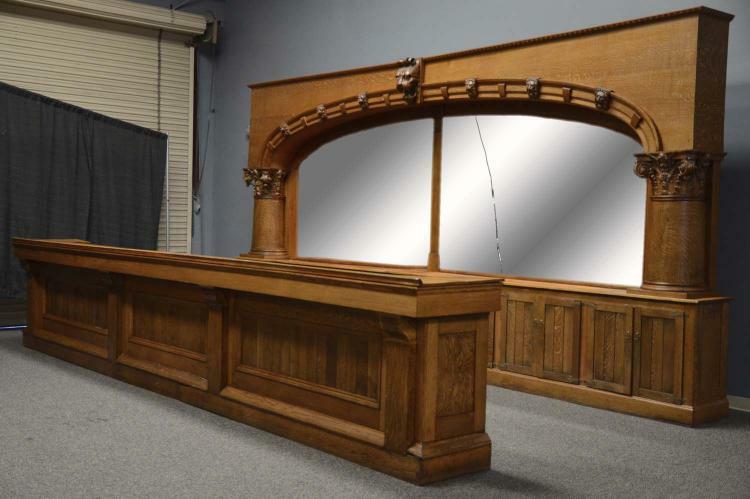 Our complete workshop can customize our bars for our clients or we can maintain the original finish and condition. 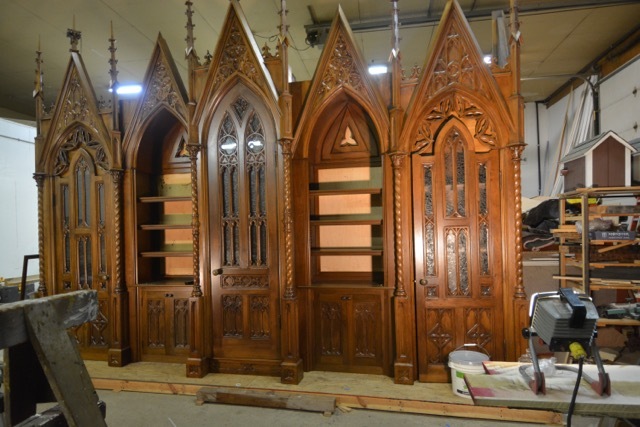 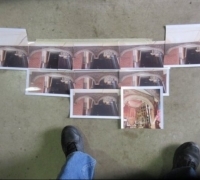 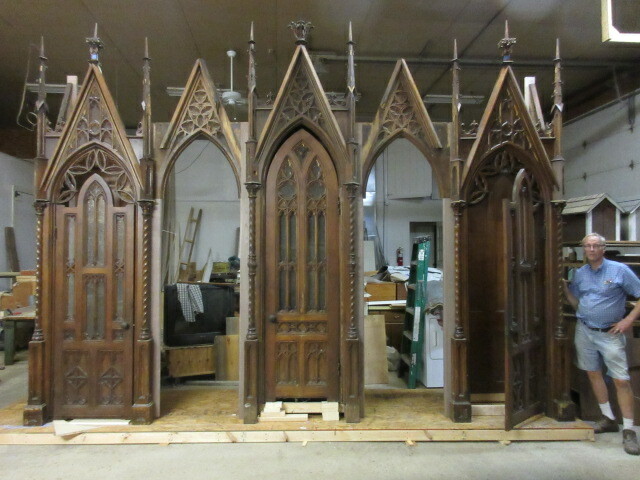 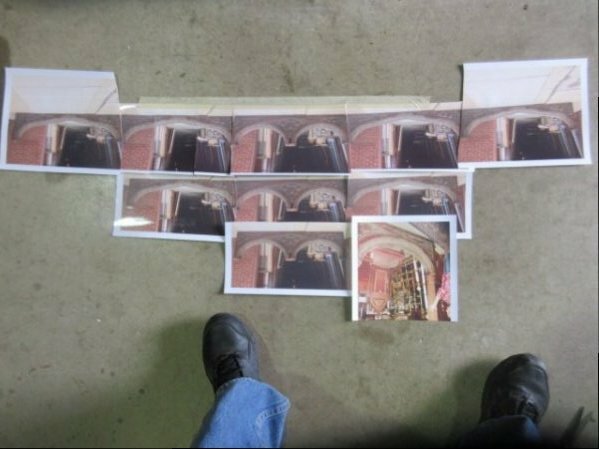 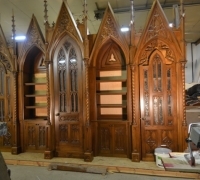 We can modify sizes to your exact specifications and refinish to any precise color to match existing pieces. 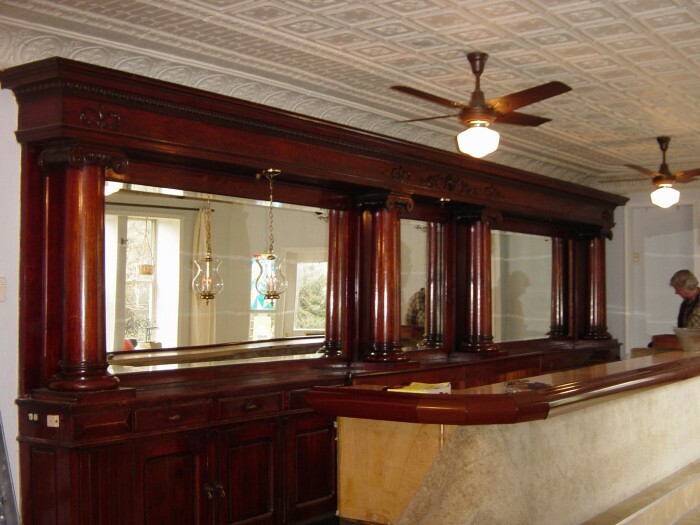 We also do installations of our bars all over the USA. 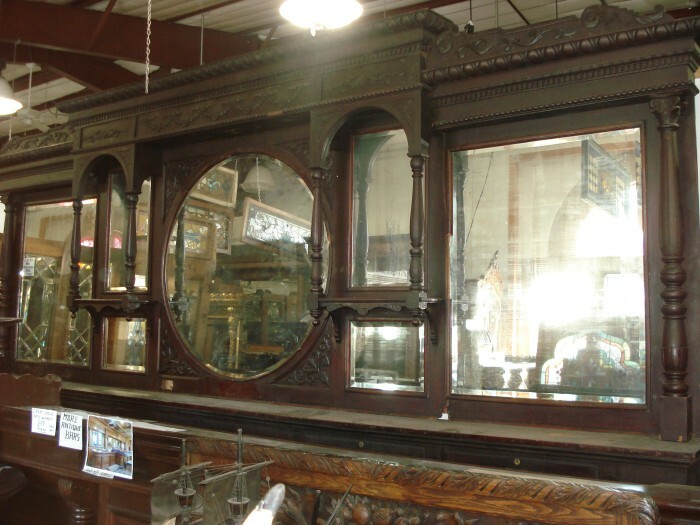 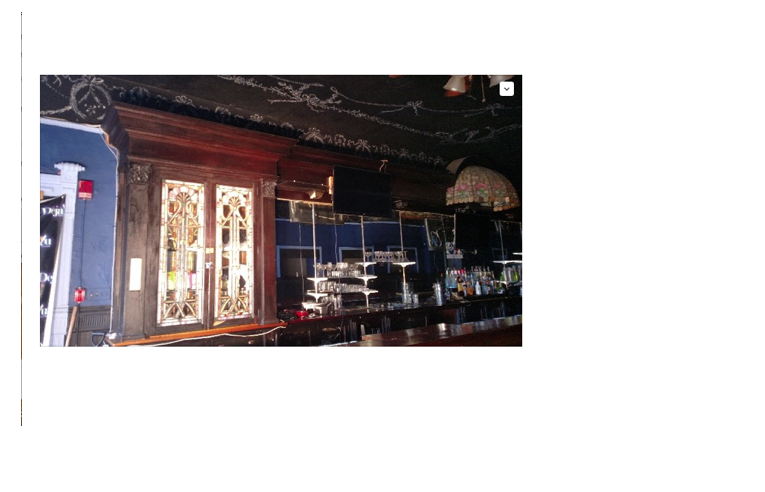 Many examples of our sold installed antique back and front bars are pictured on our website. 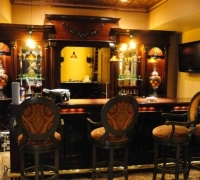 Each bar installation is the centerpiece of any room it is displayed in. 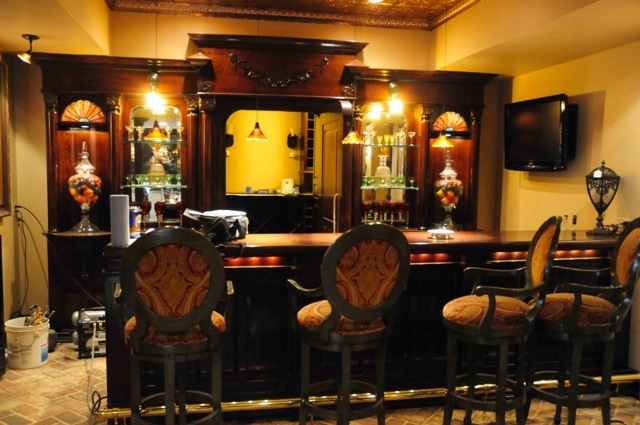 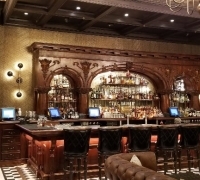 Antique bars are the most important and largest feature in any commercial hotel, restaurant, barroom, winery, club or any room in a private home. 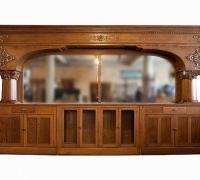 Many of these antique bars come from the famous bar manufacturer ”The Brunswick Bar Company” which produced American bars around 1860 to 1920. 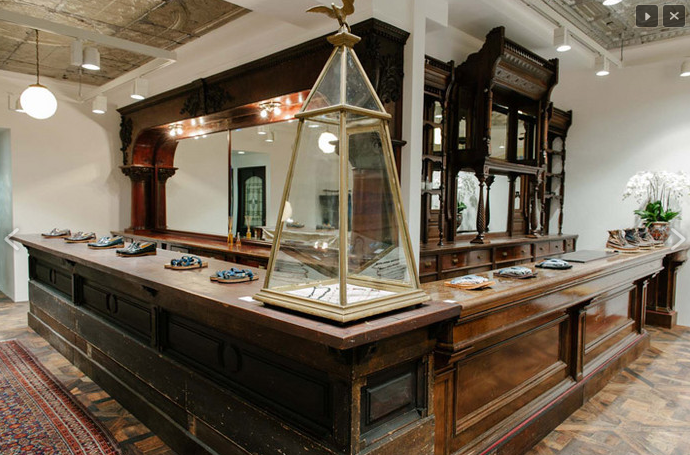 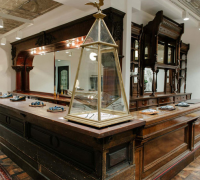 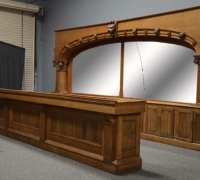 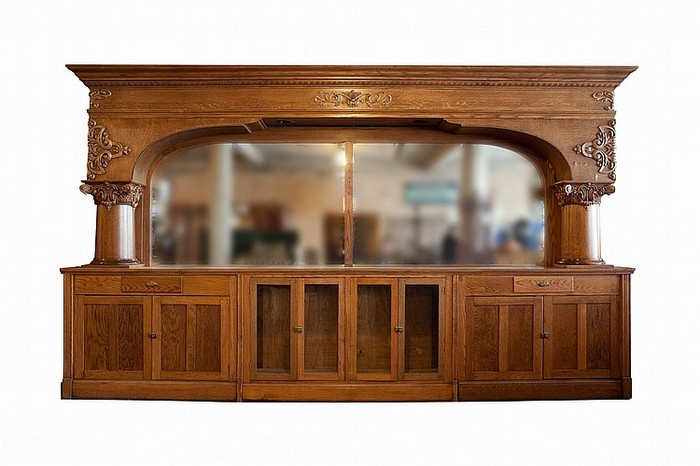 Our large selection includes bars from hotels, barrooms, restaurants, ice cream parlors, pharmacies, store display cabinetry and barber shops. 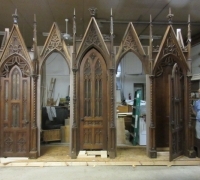 There are many different designs and sizes to select from and all can be customized or can be maintained as original if desired. 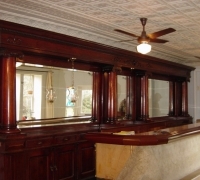 Antique bars are better quality and less expensive than a good reproduction bar. 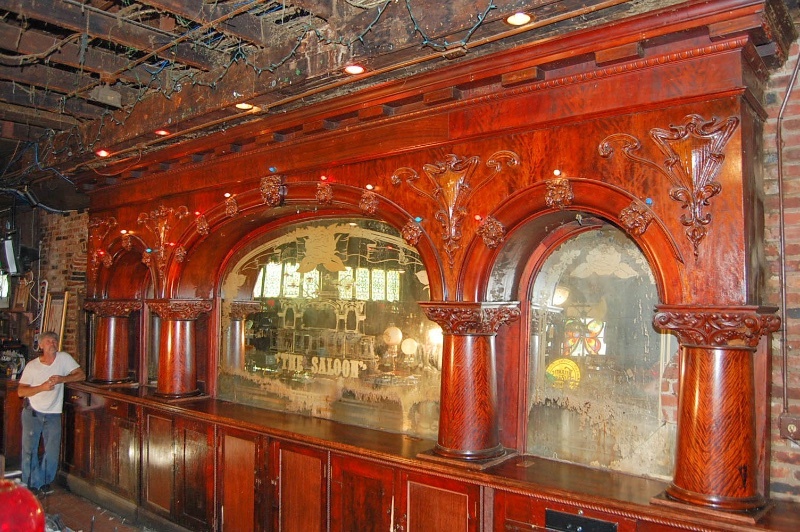 Antique bars appreciate in value and have a quality and history that is uniquely their own.